Both of us are hard at work avoiding training for the hike this summer. 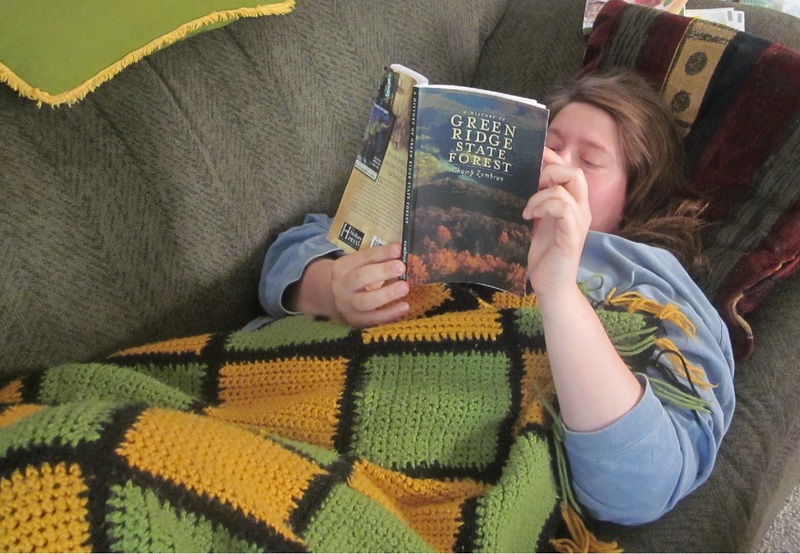 I just finished reading A History of the Green Ridge State Forest by Champ Zumbrun. We will hike through Green Ridge State Forest for a couple of days on our way from the Mid State Trail to the C&O. I really enjoyed learning more about the land we will soon explore. Thank you Champ for writing such an informative and engrossing book! I highly recommend it. Training marginally harder than Jo. Meanwhile in West Virginia, Bart has been making Adirondack chairs. I fully expect him to use this skill to maximize our comfort on the trail this summer. . . .yeah, that first mountain is going to kick our butts. One week to go! Jo & Bart, really looking forward to your upcoming exploits for your new adventure which is about to begin! I know you both needed a rest after hiking the GET last year but I dearly missed my daily dose from your backpacking journal as ya'll made your way north from Alabama to New York. Good luck with this new adventure and I'm looking forward to traveling the trail with you via your new posts!